Urgent action must be taken to tackle the problem of infectious disease resistance to antibiotics. That was the message from the UK Government's Chief Medical Officer Dame Sally Davies, who warns the health risks could be as catastrophic as those posed by climate change or terrorism. The problem of microbes becoming resistant to the most powerful drugs is being exacerbated by what she calls a ‘discovery void’. Evidently the "pipeline is drying up" of new drugs that can replace those becoming useless. 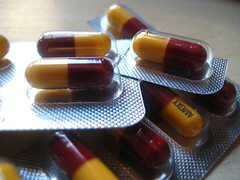 No new classes of antibiotics have been developed since 1987. A fundamental issue in this case seems to be one of market attractiveness/competitive position (see modules 4 and 5 of the Marketing text). On the one hand, the environmental context is arguably favourable for the development of new antibiotics: the use of antibiotics is on the rise, and a major gap in needs being met appears to be looming. But on the other hand, the industry could be considered a relatively challenging one. Developing new drugs, which can be difficult to differentiate from 'me-too' products, is an expensive, risky and time-consuming business. More specifically, Dame Sally Davies points out it can be less profitable to develop short-course drugs than those such as blood pressure medicine, which can have lifelong value. Nevertheless, something must be done according to Dame Sally Davies, who warns: "Antimicrobial resistance is a ticking time-bomb not only for the UK but also for the world. We need to work with everyone to ensure the apocalyptic scenario of widespread antimicrobial resistance does not become a reality." Addressing the ‘discovery void’ may require international action, including government intervention. Do you think this is an example of an unfavourable competitive context? Who are the key stakeholders? What incentives could governments use to encourage research in this area and address the ‘discovery void’?